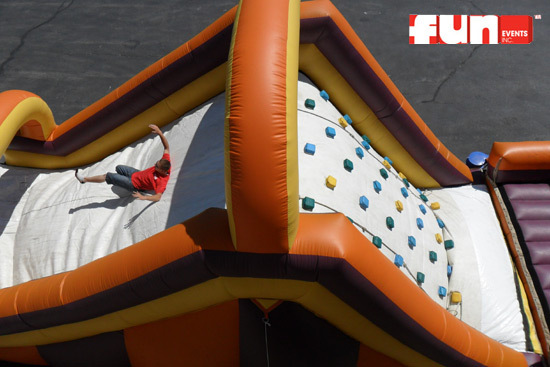 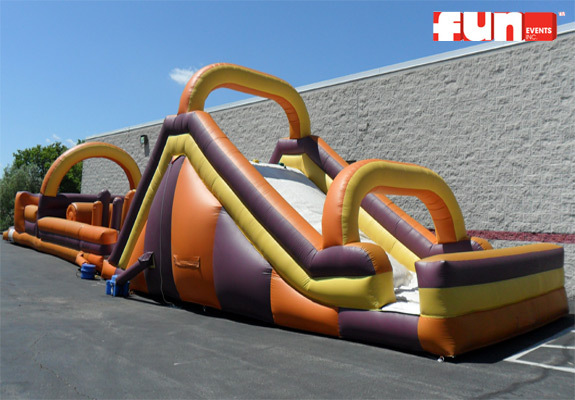 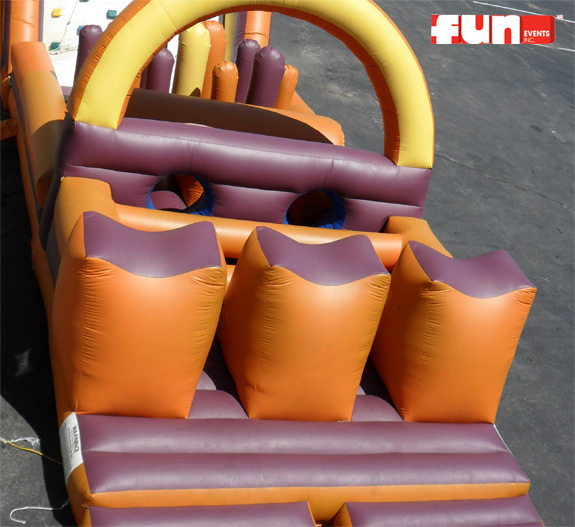 The Extreme Quest Obstacle Course is a massively long and extreme inflatable obstacle course. Participants race through the holes, over the logs, under the barrel, fight the dummies, climb the rock wall and slide down the slide. The Extreme Quest Obstacle Course is great for competitions for most ages.